Jason Howell was born and raised in Yuma, Arizona. He graduated from Yuma High School, and attended ITT in Mesa, California. During his time in school studying electrical contracting, Jason worked part time at the local Discount Tire shop. After graduation, he became a manager at a Discount Tire in Vista, California. Desiring to move back to Yuma, Jason discovered there was a need for roofing contractors in the local community. He started doing roofing work for Lee Home Builders, learning and training in the trade. Eventually, Jason obtained his own license. In 1994, at 25 years old, he established DMS Roofing, naming the business after his daughter, son, and wife – Desiree, Morgan, and Stephanie. DMS Roofing was featured as one of the top 100 roofing contractors in the United States by Roofing, Siding, and Insulation magazine. Jason was extremely active in the community. He participated in charitable works through Habitat for Humanity, as well as on his own. It was not uncommon for him to help a family in need of roof repair that did not have the funds to do the job. If you take a stroll through Yuma’s avenues and north side of town, chances are you will encounter a number of homes that Jason worked on, for free. Jason was also involved in his church and often went to the juvenile center, mentoring young men on how they can turn their lives around. He was also a proud member of the Yuma Valley Rod Gun Club, and actively participated in the Children’s Handicap River Crews. In 2001, along with John Lockard of JWL Construction and Don Wilson of Foxworth Galbraith, Jason started Yuma Southwest Contractors Association, with a desire to keep a plan room in Yuma and have representation of the local construction industry. In 2004, at the young age of 35, Jason was tragically killed in a car accident. He leaves behind the legacy of a successful man – ambitious, self-taught knowledge, a strong work ethic, a charitable heart, and a friendly personality. John is a native of Yuma, Arizona. After graduating from Yuma High School, he worked for Bogg’s Construction, a company his uncle owned in California. During this time, John attended night classes, studying drafting and business. 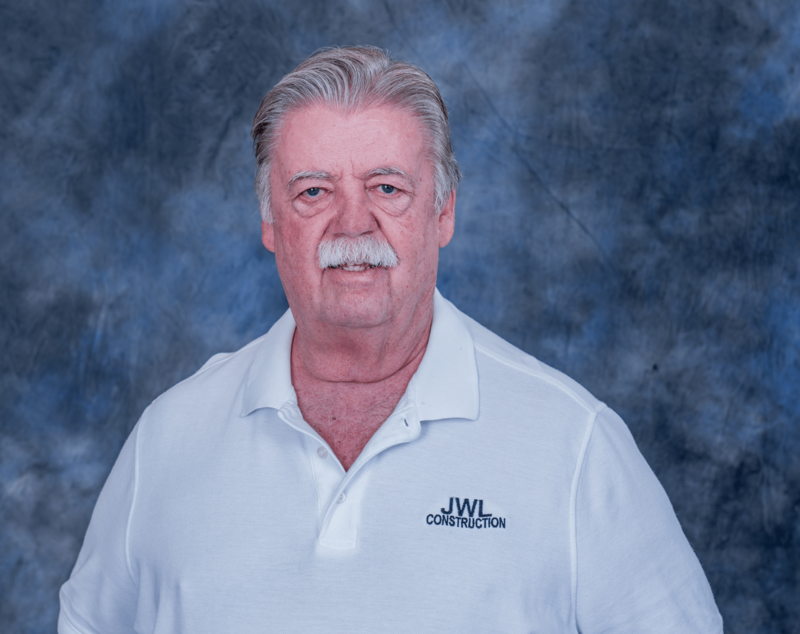 In 1970, John moved to Yuma and started his own company, JWL Construction. He did remodel work, spec homes, and insurance repair work. He retained his California contractor’s license in 1991, and branched out into doing construction in Southern California. In 1987, John became a pre-engineered steel building dealer. He started an overhead door business in 1988, and sold it in 1994. He also started a development company in 1997 and sold it in 2007. Over the years, John has worked on government projects, as well as projects in the medical sector, produce industry, on Indian reservations, and many in the private sector. In 2001, together with Don Wilson of Foxworth Galbraith and Jason Howell of DMS Roofing, John founded Yuma Southwest Contractors Association with the intent of improving the local construction industry. He currently serves on the Board of Directors and is the safety chairman for the Association Safety Plan, partnered with Copper Point Insurance. John is currently the President and Manager of JWL Construction; he also serves on the construction committee for the Yuma Union High School District, and is a consultant for Gerson Lehrman Group. Don Wilson was born in Berkley, California. He grew up in the Oakland Bay area, and graduated from Oakland High School in 1957. Throughout Don’s middle school and high school years, he would work at United Case and Fixture Company. This was a cabinet and mill shop owned by father, where they specialized in mill cabinet supplies for remodeling and new construction. In his senior year of high school, Don’s father passed away. Don took control of the company and ran it for 10 years, and eventually sold off the building and machinery in 1967. In 1960, Don began attending Diablo Valley College. He studied business, construction, construction law, real estate, drafting, and estimating. He also attended Merritt College Night School where he studied real estate and appraisals. Don’s in-depth knowledge of the construction industry comes from his lifetime experiences of working in a variety of related fields. After he sold the cabinet and mill shop, Don began working in property management and eventually relocated to Houston, Texas, where he became a licensed Real Estate salesman. During this time, he also painted high rise buildings. Don later moved to Parker, Arizona while working in the copper mining industry, where he met his wife, Judy. In 1985, Don began working for Foxworth Galbraith in Yuma as the Outside Sales Rep and Estimator. Don held this position for 23 years, retiring from Foxworth in 2008. Throughout his career with Foxworth, Don earned the respect of many local contractors, who loyally gave him their business year after year. 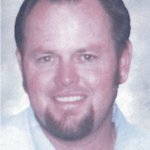 In 2001, along with John Lockard of JWL Construction and Jason Howell of DMS Roofing, Don founded Yuma Southwest Contractors Association. Don served as the first president of the association, and has held every position on the board since. He was also the Executive Director from 2009-2011. 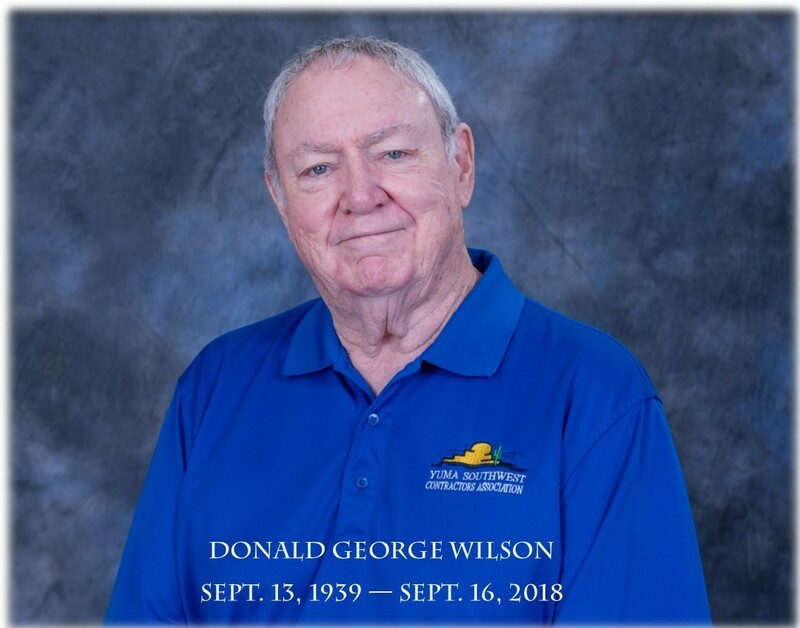 Throughout his life, Don had been an avid golfer, sailor, and Raiders fan. Don had continued to contribute to YSWCA. His service and dedication to the Yuma community through his many years at Foxworth Galbraith and with YSWCA is invaluable and will always be honored.